This summer, I found 39 caches in 6 states and 2 foreign countries, bringing me up to 414 caches found. I started out the summer hiking with the kids to find one from December 2012 (175th month found), which earned the first souvenir in this summer's "Hidden Creatures" promotion -- Bigfoot (my 47th souvenir). A few days later, I found a new-ish one from July 2018 (176th month), which also got me the Fairy souvenir (48th). On landing in Illinois, my 17th state, I found one in Kane County, my 71st county. That also earned my 49th souvenir for the state of Illinois. After driving to Wisconsin, my 18th state, I found one in Dane County, my 72nd county. That earned the Wisconsin souvenir, my 49th. It was a virtual cache, where I took my picture with Bucky the Beaver. That also earned me my 51st souvenir -- Unicorn. 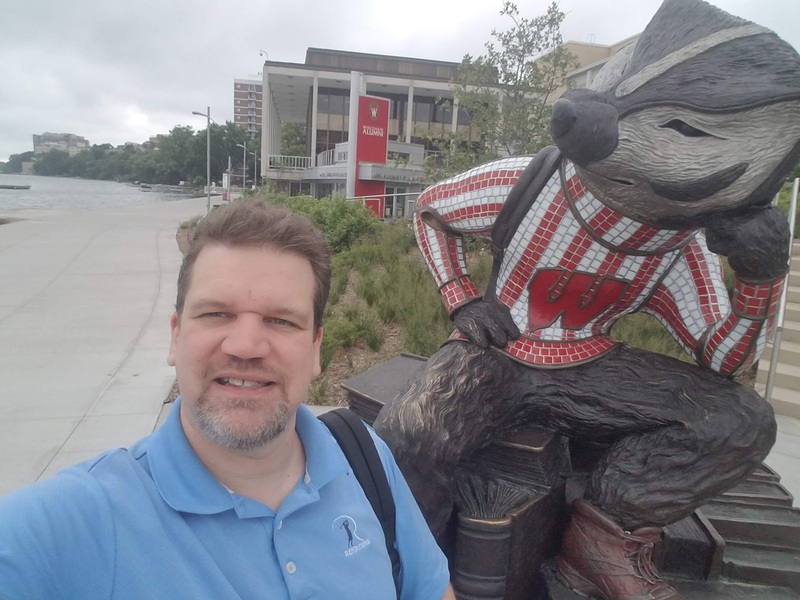 A couple of days later, I took a road trip from Madison and picked up caches in Rock County, Wisconsin (County #73) and Winnebago County, Illinois (County #74). The four I found in Rock County were challenge caches which each gave me new difficulty/terrain combos (numbers 34-37). I also picked up souvenirs 52-54 (Hippocamp, Kraken and Mermaid -- I'm going to stop including the pictures. On the way back to the airport, I found a couple in Cook County, Illinois (County #75) -- including one in the airport. That got me my 55th souvenir (and the last one of the Hidden Creatures promotion). It also marked the end of my longest caching streak to date (7 days). 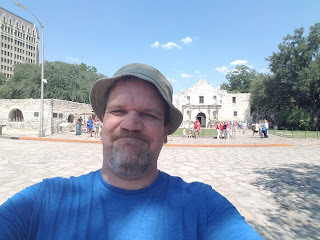 A trip to Texas gave me my 19th state, along with counties 76, 77, 78 and 79. The Texas souvenir was my 56th. The two Texas virtuals are pictured below. One of the Texas caches was from November 2012 (Month #178). 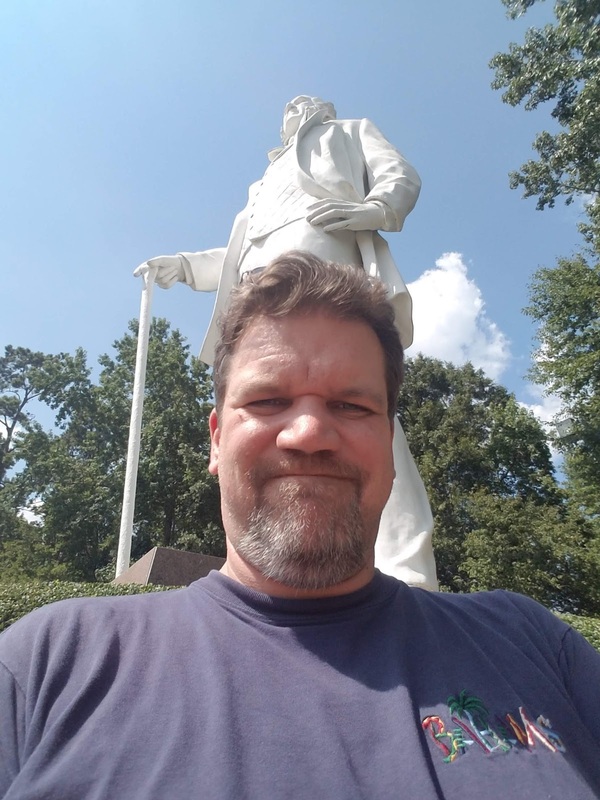 Back in Maryland, I got my 18th FTF (First-to-Find) on one of the limited-edition virtual caches, so it was also my first find of that cache type. On my way to England, I stopped in Dublin, Ireland and got Country #12 and Souvenir #57 (there is a separate Dublin souvenir). 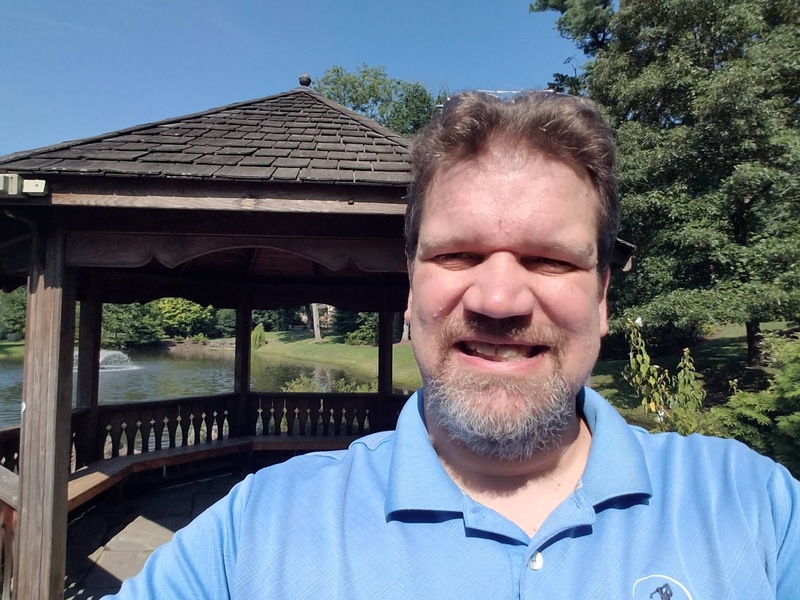 While in England, I found another new virtual, which gave me August 2018 (Month #179). 8/12/18, Country #12, Souvenir #57. 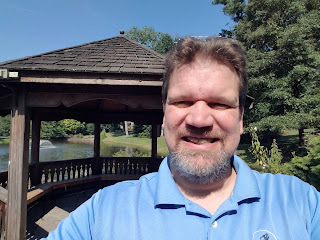 On September 1, I found another challenge cache with a new D/T Combo (#38). 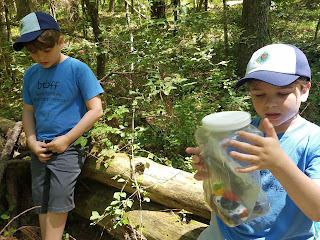 I found 2 other caches that day, and it apparently was the first day I found three different types of caches in a day. A trip to California meant that I was able to secure County 80 (Riverside County), County 81 (San Bernadino County), and Month 181 (March 2006), as well as D/T combo #39. So, where am I, after some ambitious caching? I have almost half of the D/T combos. I have been filling out the ones outside of the upper left mostly through the use of challenge caches. I'm not sure how far I can stretch that, but every time I go to a new area, I try to find a few that I didn't have before. I am missing 41 months, including the current one. That's down from 47 at the end of Winter. I thought I was going to get a rare May 2000 one near Chicago, but the trail was closed. Adding three new states makes the map look better. The counties map is looking more interesting, especially the big counties in California. Of course, I only went to the very western tip of each of those two, but it still counts for the map. That's only about 2.6% of the total counties.